Osmosis Jones is a 2001 science fiction live-action/animated film directed by Tom Sito and Piet Kroon for the animated segments and the Farrelly brothers for the live-action segments. Unusual in this genre, the live-action characters never meet the animated characters. The film follows through a fictionalized version of the human body, where micro-organisms or any being based in organisms are anthropomorphic. 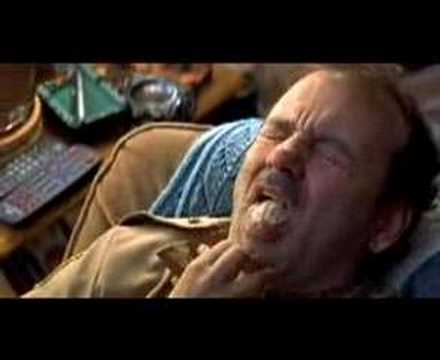 As such, the film centers on Frank, a slovenly man, and whom the story concerns. 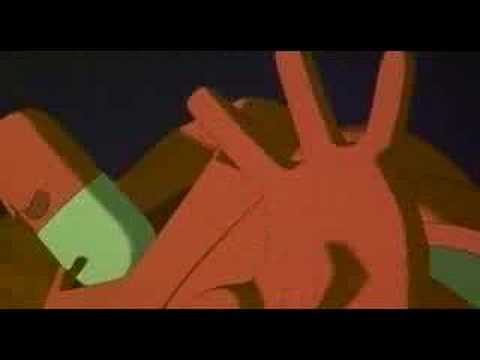 The titular protagonist, Osmosis Jones, is a white blood cell who is forced to team up with a cold pill, Drix, on thwarting Thrax, a deadly virus, who plans to kill Frank within a matter of hours, which would also kill the other characters living in him. Osmosis Jones was released on August 7, 2001 in North America, on November 2, 2001 in the United Kingdom and on August 1, 2002 in Australia. Having been a box office bomb, it earned over $14 million worldwide, with its budget being $75 million. The film met with mixed reviews and received three nominations, having only won a Just For Laughs Award. 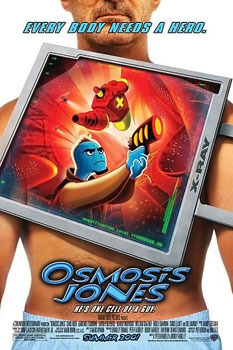 Despite the lack of accolades, Osmosis Jones sold well in home media. It spawned a Saturday morning cartoon television show, Ozzy & Drix, which aired on Kids WB from 2002 to 2004, albeit being completely animated and more emphasis on Osmosis and Drix's partnership in another body. Limited merchandise was created due to the film's financial failure.